Under the Missouri 2021 banner, the State Historical Society of Missouri is committed to coordinating a truly statewide commemoration that incorporates both rural and urban communities in projects, programs, and events that contribute to a better shared understanding of the State’s geographic and cultural diversity as well as the similarities that bring us together as Missourians. 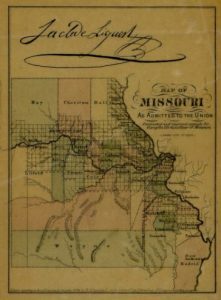 This role is fitting for the State Historical Society of Missouri, a trustee of the State of Missouri since 1899, as the organization’s mission is to collect, preserve, publish, exhibit, and make available material related to all aspects and periods of Missouri history. The Society also seeks to generate interest in and appreciation of the rich cultural heritage of the state and its people through education and outreach. Missourians, at home and abroad, will walk away from the bicentennial experience with a greater appreciation for the state’s history and its diverse communities and cultures as well as a better sense of their shared investment in the state’s future.